The Internet loves cats. Games with explosions, too. And most everyone loves a good card game. So what happens when you combine the three? Crowdfunding mania. Exploding Kittens, a card game designed by Elan Lee and Shane Small and illustrated by Matthew Inman--the mind behind the popular comics site The Oatmeal--has blown up on Kickstarter. Since its campaign launched on January 19, Exploding Kittens has attracted more than 120,000 backers, a record for the fundraising platform (beating projects to fund Reading Rainbow libraries and a Veronica Mars movie), who have contributed more than $5 million for a game that they have never seen. 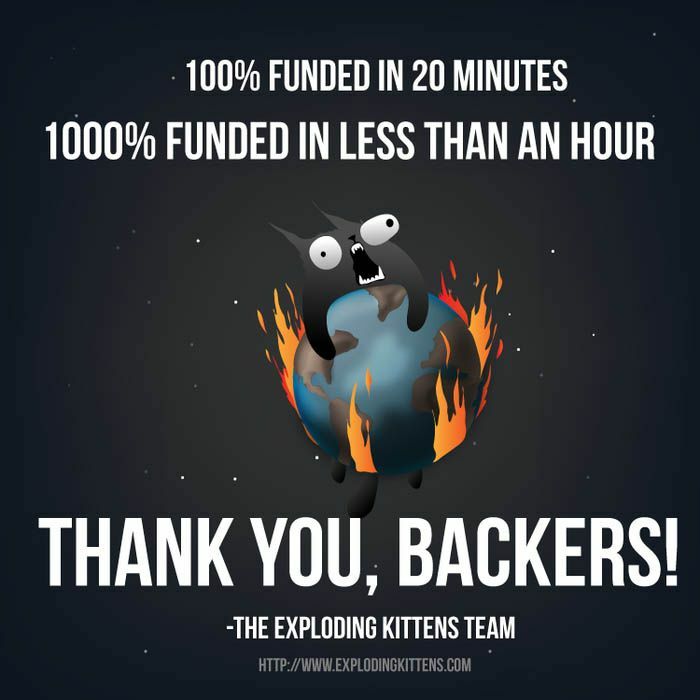 Exploding Kittens passed its initial funding goal of $10,000 in the first eight minutes of the campaign. It was 1,000% funded in the first hour. “We're in totally crazy territory here,” says Small. Despite the fact that Lee and Small are long-time game designers and Inman has a cult following of fans who adore the Oatmeal comics, the trio seem taken aback by the success of their humble card game. In fact, the three have never been in a room together and are only now contemplating their first in-person meeting. Lee and Small live in Los Angeles and have known each other for more than a decade. Their first project together was an interactive clothing line called edoc laundry, launched in 2005, which embedded clues to a murder mystery in each article of clothing. CSI: New York based an episode on the premise. The two designers had subsequent stints at Microsoft, developing interactive movies and shows for the X-Box game console. After the company shut down the division where they worked, Small approached Lee about an idea he had for a game, originally called Bombsquad. The game is essentially a “highly strategic kitty-powered version of Russian Roulette” where players try to avoid drawing a card in which a cat innocently sets off an explosion by walking across a keyboard and launching a nuclear bomb, or chewing a grenade. Matthew Inman The game required enough skill and strategy to get people excited, but they both agreed it lacked something. It was during a vacation with a mutual friend in Hawaii that Lee was coerced into testing out the game with fellow vacationers, which included Inman. 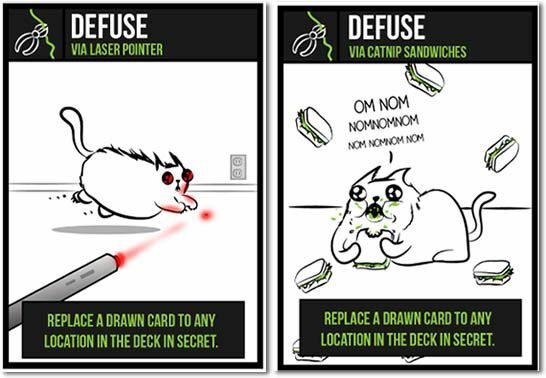 It didn’t take long for the illustrator, who has made a name for himself with his cutting, sardonic takes on everything from the word "moist" to the correct usage of the semicolon, to offer exploding kittens as an alternative to bombs. Before they could seek funding, the team found itself wrestling with how the kittens would die. Initially, the fatal feline was a suicide bomber who killed with malicious intent. Eventually, the cats evolved into animals that killed just by being, well, cats. The game is essentially a “highly strategic kitty-powered version of Russian Roulette” where players try to avoid drawing a card in which a cat innocently sets off an explosion by walking across a keyboard and launching a nuclear bomb, or chewing a grenade. The cats can be defused with catnip sandwiches, a laser pointer or belly rubs, or diverted with “action cards” that involve the powers of back-hair, goat wizards, magical enchiladas and other “non-sequiturs” that Inman says he’s been keeping on the back burner for years. The illustrator says he had been wanting to work on a game before he met the two designers. Despite the team members working “so hard to make sure that people didn’t think we were actually exploding kittens,” says Lee, they still get at least two letters a day from animal advocacy groups double-checking that they are not promoting kitten bashing, or bombing. “Unless there’s an animated PETA that is very sensitive to destroying cartoon cats, I think we’re OK,” says Small. But why cats and not dogs--or panda bears, or any other animal for that matter? Inman, whose riffs on animals have included How to Tell If Your Cat Is Plotting To Kill You and My Dog: The Paradox, says a cat has the “same demeanor and attitude and habits of a full-grown big cat,” like a lion or a tiger, but is small enough to own, which makes for an interesting dynamic with humans. “When you save an animal from certain death and then it just almost spits in your face and ignores you and goes to the very person that hates cats, that kind of thing can scar you,” says Small. He insists, though, that the game is not his way of getting back at the capriciousness of cats. 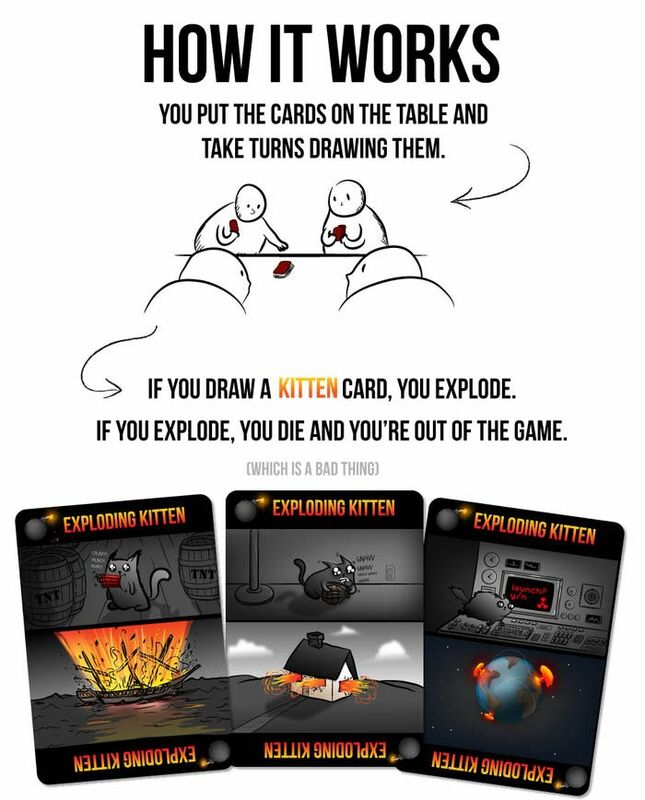 Exploding Kittens follows a trail blazed by Cards Against Humanity, another card game that got its start on Kickstarter in early 2010 and has had phenomenal success. Before they launched their Kickstarter page, Lee reached out to CAH co-founder Max Temkin to ask for feedback. The company proved more than forthcoming, offering advice, resources and logistical support. “At this point I talk to them at least twice a day,” Lee says. The Chicago-based company is a big advocate of self-publishing and a distribution model buoyed by the support of a community before a product even hits its hands. Its approach subverts the traditional game-development steps--find a publisher that will oversee a game’s evolution and sales but that will take a percentage of the profits in the process. Small says the idea for Exploding Kittens originated as a digital game that he worked with Lee to improve by using physical cards--a quicker, and more fun, method of brainstorming the game than using a computer. It was through this process that they realized the game made for a “great physical card game rather than a digital app,” Small says. He believes the success of physical games like CAH and Exploding Kittens points to people’s desires to get away from computer screens and interact with each other. “To be able to still get physical with something in your hands and place it down and interact with another person on another side of the table, there will always be a need for that,” Small says. 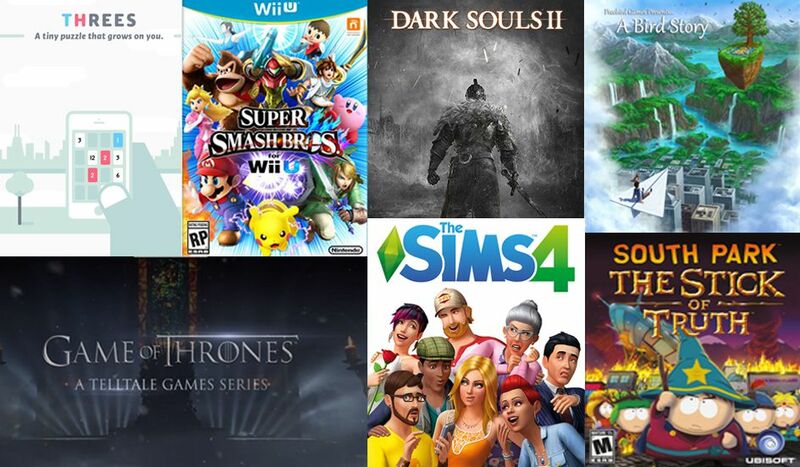 After a gaming console, the team has raised the most money of any project in the game category, according to Kickstarter, which has seen more than $305 million pledged to games projects since it launched in 2009. The Exploding Kittens team initially requested a quote for a print run of 1,000 packs of cards. Now it has over 120,000 backers who will receive at least one deck in exchange for their support. “I run around cowering under my desk and hoping that we can somehow turn off the spigot,” jokes Lee. He says the project is doing well enough that he’s just returned a few million dollars' worth of investment capital he received to start what he thought would be his next big venture, a TV studio. Instead, he’s going to focus on Exploding Kittens and the opportunities presented by its success. “This is now a thing that, if we don't pay attention to it, I know I will spend the rest of my life regretting,” Lee says. “I think we'll have our excitement hangover in two to three weeks when we have however many orders to fulfill,” Inman says. Being supported by a campaign’s community has also meant they’ve been able to identify “a million little details that would not have been possible any other way,” like translations into other languages and putting markings on the cards that make it easier for left-handers to play, says Lee.